When you think of “mentorship,” what comes to mind? A cookie-cutter idea of what a mentor looks like and does? Something stiff and one dimensional? 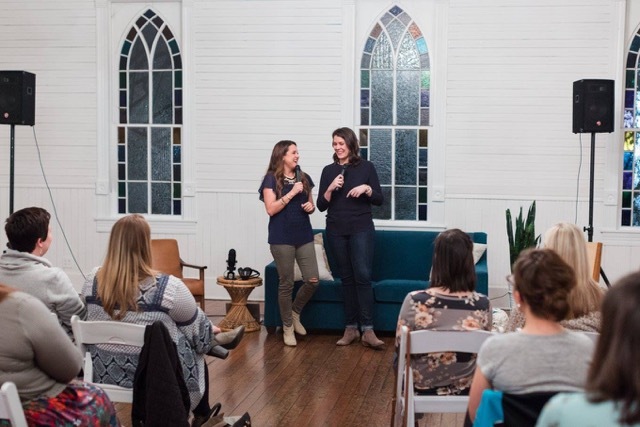 Hallie Graves, lawyer and director the Austin chapter of Polished, wants to open your eyes to the different “flavors” of mentors out there, and how you can make your time with them as beneficial (to both of you!) as possible. 4word: Tell us a little about yourself! Hallie: Hi, I’m Hallie! I’m a 30-something lady lawyer and an Austin,Texas, native. 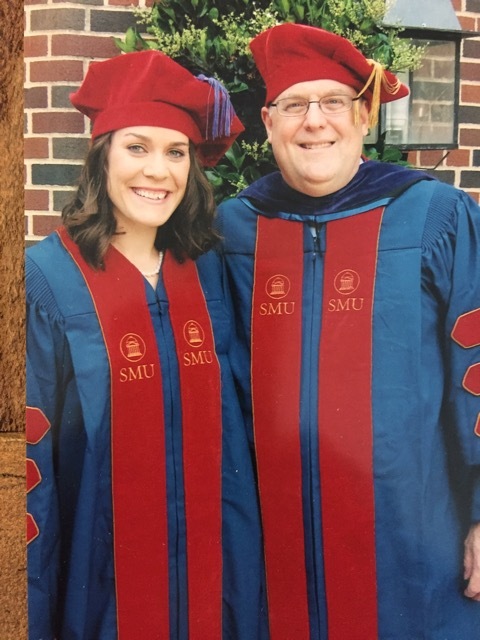 After college in Memphis and law school in Dallas, I worked for a year for a federal judge in Dallas and then joined a big law firm in Dallas as a commercial litigator. In 2014, I made my way back to the homeland and transferred to our firm’s Austin office. I’ve since moved on to start my own law firm and am now in the process of looking for a new job, ideally in a smaller law firm. When I’m not lawyering, I love being outdoors in Austin, acquiring books for my to-be-read tower, and directing the Austin chapter of Polished, which brings together young professional women to navigate career and explore faith together. I also write some stuff and love talking to groups any chance I get! Oh, I’m also an aspiring foster mama and am in the final stages of getting approved to have some littles come live with me. 4word: You had the unique opportunity to be involved in an employment committee with your law firm. How did that experience shape your view of mentorship? Hallie: I’m so grateful I got to serve on the employment committee. As part of my job, I helped with interviewing, hiring, and mentoring law students through the employment process. I loved almost every minute of it. It was unique in that as a young lawyer, I needed mentorship and leadership from people ahead of me – be it two years, ten years, or thirty years ahead. But I also had the chance to mentor law students and brand-new lawyers. As a mentee, I learned to not rely on just one person to be my official “mentor” but instead to ask myself what I could learn from each person I worked with or for. I learned to ask questions when I didn’t understand why we did something a certain way and to not be afraid to voice a different opinion. As a mentor, especially a young one, I realized we all have something to contribute to those coming behind us – whether we’re a month or a year or ten years ahead of that person. I learned that sometimes the people with the most recent experience can speak into a situation, and other times people with more perspective and distance are the best to speak on it. The committee experience allowed me to understand firsthand from experienced lawyers what an exceptional young lawyer was. Because we were looking to hire those people, I started to identity how to become that person myself. 4word: Do you think there’s some confusion about what a mentor is/looks like? Are there different “flavors” of mentor? Hallie: Yes! Both in the law firm and through Polished, I’ve heard many pleas for mentors. I’ve learned to ask, “What do you expect from a mentor?” or “How do you hope a mentor will be able to help you?” The answer to that question usually guides what I suggest for next steps. I’ve had at least two different types of mentor figures in my life and career – the “big sister” figure, the “model,” and the “advocate.” The big sister figure is the person that I’d approach with questions about how to do something; she’s a person I’d look to for advice, of any kind – personal, professional, spiritual, intellectual. She’s someone that would be farther along than I am, but maybe not in a position to further my career in a specific way. She’s a safe person to break down in front of or to ask silly questions. Sometimes, she’s just a listening ear. At the law firm, my first big sister mentor was Susan, who I frequently referred to as my big sister. I’d ask her about cases she wasn’t working on, and she was generous to give me advice and her time even when she wasn’t involved with the situation at all. The model is someone that I want to be like, in whatever way. Maybe she’s someone I want to emulate professionally, spiritually, or relationally. She might not be the person to which I ask all of my silly questions, but she’s someone that I want to pattern myself after and become more like. In the work context, this might look like a woman who’s figured out a way to do the things I want to do – to have a fulfilling work life, home life, friend life, and spiritual life. Maybe she’s figured out a unique way to handle her schedule or established a niche practice area that I want to join. I knew that I needed a model to decide where I’m headed; to be directional rather than directionless. The advocate has a different role. The advocate might have more power than a big sister figure, and is particular to the professional world. She’s someone who will go to bat for me when I need it. For example, if I were working on a case with Adrian and Jennifer, and they’re deciding whether to send me or Tyler to an important hearing, my advocate would jump in to explain to Adrian and Jennifer why I’m the best person for the job. She’s putting her reputation on the line, and using her power, for my benefit. I think we frequently underestimate our need for a strong advocate, but I’ve found it to be critical. We won’t always be involved in important decisions about us, and we must rely on people who can pull us up to do so. 4word: How can someone figure out what kind of mentor she needs? If it ends up being outside the scope of a “traditional” mentor, where can you start to find the mentor that fits you and your situation/needs? Hallie: I’d start with asking yourself, “what am I hoping a mentor will do for me?” Sometimes, we want a listening ear, a person to vent to, a person who will understand what we’re going through and help us decide the next step. That’s a big sister. Maybe we need to figure out where we’re going in our career and how to get there. We’d need a model. Or maybe we need someone to speak on our behalf, to use their power to help us get to the next step: the advocate. I don’t know that our world really fosters neat mentorship any longer. So many of our workplaces and hierarchies and systems are less traditional, so our mentors may be as well. Once you know what you’re looking for in a mentor figure, brainstorm who you already know who might help in that direction. You might not know a big sister figure, but do you know someone who knows someone else who might be? You might not have an advocate, but who can you do amazing work for so that they are willing to go on a limb for you? Assume that every person you meet has something to teach you. Maybe it’s a negative example: what not to do. But when you find a good fit, a person you want to learn from, or be like, or who can help you, ask them to do that. Be up front – ask if they would be open to you coming to them with questions, or ask if they would have a conversation with you about their career path. Here’s a secret: people love talking about themselves, so ask them. 4word: What tips do you have for millennials or young professionals to help them make their mentorships a fruitful and enjoyable experience for themselves and their mentors? Hallie: I’m as guilty of this as the next millennial, but sometimes we might not put in the work required to form and maintain these relationships. If you ask someone to help you, be sure to treat their time and effort appropriately. If you set up a meeting, show up, and be prepared. Have questions you want to ask, or stories you want to hear. Be ready to explain why you want to learn from them, specifically, as that will help shape your conversations. Also, be thinking about who you can mentor, or advocate for, or listen to. Offer to get coffee with the woman who is a year or two behind you at work. Ask how things are going. It’s never too early to become a mentor for someone else. 4word: Anything else you’d like to share? Hallie: In general, become the kind of person for which you’d want to mentor or advocate. Listen well, ask questions when needed, and implement as you learn. You might find that you have natural advocates and mentors when you are the person worth mentoring or advocating for! What has mentorship looked like for you? Is it something in which you’ve taken part and enjoyed, or does it feel more like a “career myth” that’s too complicated or formal for you and your journey? We hope that hearing from Hallie has helped bring real-world clarity to mentorship and inspired you to either find a mentor or become a mentor! It’s a decision you won’t regret! Ready to partner up with the woman who could help you unlock your career future? 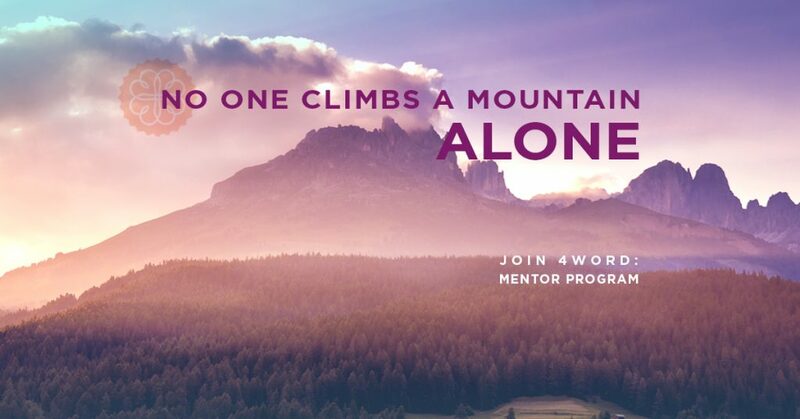 The 4word Mentor Program is now accepting applications for mentees and mentors until April 21st! (The session begins May 19th and goes for 10 weeks) Click here to apply today! Hallie Graves is a 30-something (ok fine, 31) energetic single gal living the life in downtown Austin, Texas. 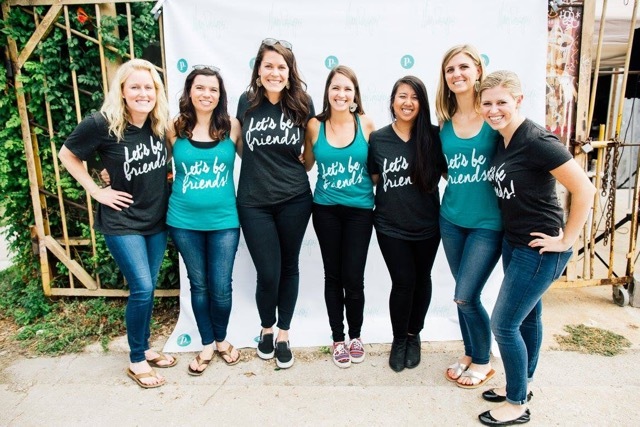 Hallie is the director of Polished Austin and is passionate about encouraging women to live the fullest, most free lives that Jesus has called them to live. As a lawyer and passion-collector, Hallie’s advocated for budding entrepreneurs and Fortune 50 companies, and for children and families in child protection cases. Hallie loves writing and speaking to anyone who will listen, and is obsessed with Broadway shows, La Croix fancy water, queso, group fitness classes, and her people, and she can almost always be found somewhere around Town Lake. Hallie’s an aspiring foster mom, is involved in the Austin Stone Community Church (downtown AM!) and Restore Foster Care, and has degrees in voice, physics, and law.